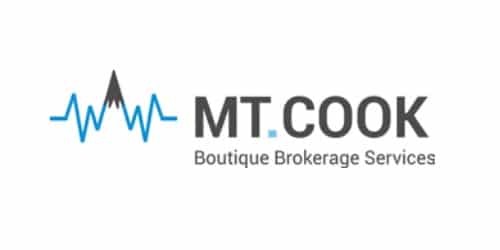 MT Cook Reviews 2019 - Best Fx Broker For Professionals or Not? Overview: MT Cook Financial is a brand of financial services Atlantic Pearl Ltd., based in Australia and regulated by ASIC, FSB in South Africa and FSC in Vanatau. The boutique brokers offer single accounts for institutional and professional traders, hedging, and good execution on Meta Trader 4. While trading regulations in South Africa are not the strictest, local brokers are required to keep funds in segregated trust accounts. Account: Single account with minimum trade of 0.01 lots and average spreads of 0.3 pips for EUR/USD pair, which means trading costs are less than 1.0 pips per lot. Leverage is not high, which means your winning trades will not be as quickly offset by a few losing trades. Maximum leverage is set at 100:1 but may be increased in some cases. Pricing is competitive and managed accounts are available. Features: Mt Cook offers traders Meta Trader 4 for various devices to trade on, as well as the brokers’ own new Hybrid PAM, which offers the benefits of both traditional PAM and a trade copier. Also offered are API trading via FIX, traditional PAM or MAM for money managers, and Myfxbook Autotrade. A highlight is the availability of two liquidity sources, DMA and ECN streams. Education: Occasional market commentary and news available. Little forex broking education, since the portal is not for beginners. Deposits/Withdrawals: Bank wire, Neteller and China UnionPay deposits are supported. Withdrawals are free except for bank wires and usually take a couple business days. Customer service: Support available through email, live chat, and phone numbers for EU and US clients. User reviews: Check out more MT Cook Reviews below. My go to broker. I was kicked out of my last broker due to residency and new laws. I landed here at the recommendation of my IB, and will not look elsewhere. Good broker if you are a serious trader. Spreads on the ECN are excellent! Support is great. It is not a bucket shop and you are trading on good liquidity here. Highly recommend. Good value. I have been pretty happy with their service for a long time. I am using their Hybrid PAM, and its been amazing for managing my clients. They also have good fair pricing. Excellent team and have treated me very well. Only request is some of my clients have asked for more funding options. But I do receive my withdrawals in the same day which is more important as far as I am concerned.